A biography of one of the principal figures leading the formation of the Irish Free State. William Butler Yeats called him the ‘great builder of a nation’. The story of the Irish state can be read in many ways. Two views, however, have dominated. One looks upon the War of Independence as the near fulfilment of the 1916 sacrificial act of national redemption, with the ultimate unification of the island remaining as the concluding chapter. The civil war was a tragic diversion attributable to either compromisers on one side or zealots on the other. A second view sees modern Irish nationhood having been virtually realized in the late nineteenth century with the successful alliance of Charles Stewart Parnell, the Irish Parliamentary Party, and the Catholic hierarchy. In this second view the violent events of 1916 to 1923 are an exception to a story of constitutional evolution towards self-government, to which path Ireland returned with the conclusion of the civil war. The life of Kevin O’Higgins encompasses both views. As the Vice President and Minister for Justice in the Irish Free State, he was one of the founding fathers of modern Ireland. While he is not as well-known as Eamon de Valera or Michael Collins, O’Higgins’s contributions to the formation of the Irish state are comparable theirs. 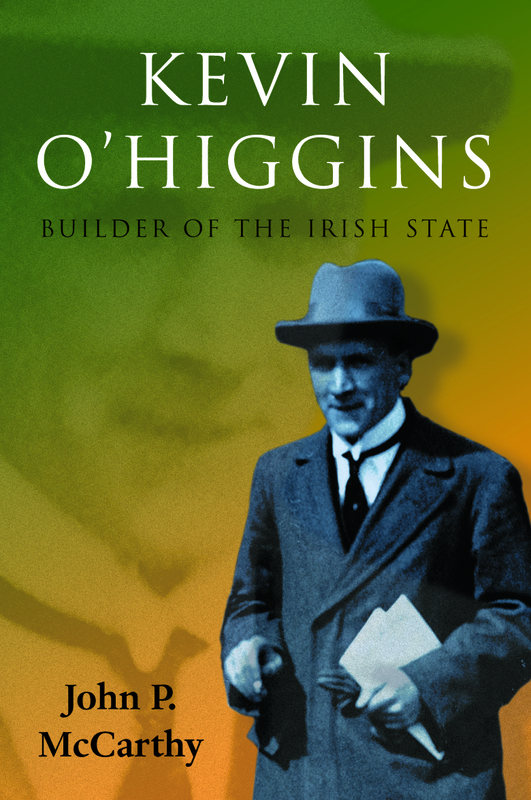 While O’Higgins participated in the revolutionary pursuit of national independence, he played a conservative role in consolidating the institutions of a new state after the Anglo-Irish Treaty of 1921. His work in a short period of five years insured the solidity and survival of constitutional democratic institutions in Ireland in a century when such survival was scarcely guaranteed, and when societies confronted with comparable problems have descended into authoritarianism. Particularly notable accomplishments were his formation of an unarmed police force and his expulsion of private factions within the national army. His tragic assassination at 35, on 10 June 1927, robbed Ireland of one of its most constructive political figures. In his essay, On the Boiler Yeats placed O’Higgins along with Swift, Burke, Grattan, and Parnell, as being among ‘the true Irish people, and there is nothing too hard for such as these’ The personal tragedies and the great moral confrontations that O’Higgins experienced confirm that capacity of endurance in the pursuit of great tasks, which in his case was nation-building. John P. McCarthy, Professor Emeritus of History at Fordham University, wrote Hillaire Belloc: Edwardian Radical (1978) and Dissent from Irish America (1993). He has contributed articles and reviews to a variety of journals in the United States and Ireland and is a frequent commentator on Irish, Northern Irish and Irish-American issues for BBC, RTE, CNN, PBS and CBC.